When Olympian Jordan Wilimovsky returns to Evanston in the fall, Northwestern’s traditionally small team should get a big boost. 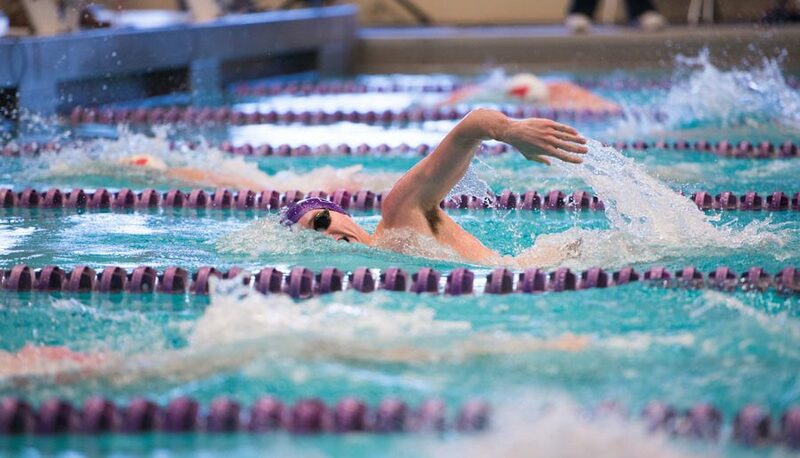 Without Wilimovsky, who holds school records in three events and qualified for the NCAA Championships each of his first three seasons as a Wildcat, NU finished eighth at the Big Ten Championships and did not send a swimmer to the NCAA meet. Wilimovsky, who won the 10-kilometer open water world championship in 2015, took the 2015-16 school year off to focus on training for the 2016 Summer Olympics. The Cats had no standout performers and lost eight straight dual meets, including all four Big Ten matchups, to close the regular season. NU won just one dual against a Division I opponent, a late-October victory over crosstown rival UIC. There are, however, positive signs for coach Jarod Schroeder heading into his eighth season leading the Cats. Rising sophomore Carter Page had the team’s fastest times in two longer-distance freestyle events, and fellow sophomore Tyler Lis led the team in the 200-yard backstroke and 400-yard individual medley. Lis’s 400 IM time made him the fourth-fastest in program history in that event. Further, the Cats are expected to return 19 of 21 swimmers from last season, and NU’s eighth place finish at Big Tens was the program’s highest since 2009. Wilimovsky will offer a significant lift in the 1,650-yard freestyle, as he finished third at the NCAA Championships in that event in 2015. He also swam the 500-yard freestyle at NCAAs that season. NU’s greatest success last season came on the diving board. Two divers reached the NCAA Zone Championships and incoming senior Andrew Cramer qualified for the NCAA Championships in two events. His top finish was 26th on the 3-meter springboard. The Cats’ 2016-17 schedule is highlighted by the three-day TYR Invite, which NU hosts in November. The Cats will have just two dual meets at home and will swim all three Big Ten duals away from Evanston.